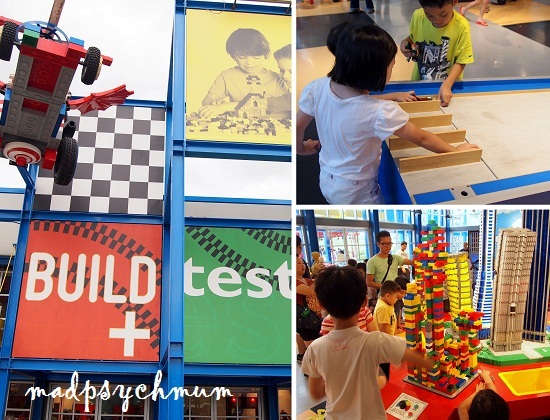 MadPsychMum | Singapore Parenting + Travel Blog: Biggest Lego Xmas Tree at Legoland Malaysia! Biggest Lego Xmas Tree at Legoland Malaysia! 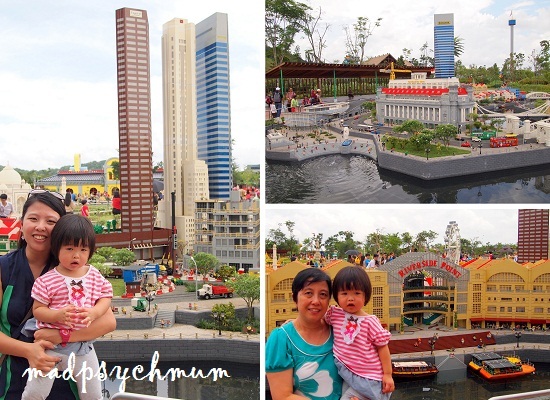 We were off to Legoland Malaysia again because I liked it so much the 1st time we were there for the media preview. This time however, I brought along my mum and bro who are just as much Lego fans as I am. We decided to drive after hearing how easy it was to reach Legoland via the 2nd Link. And it was indeed really easy! After clearing customs and the toll booths (ensure you have a Touch'n'Go card with you), continue driving straight until Nusajaya Exit 312. Then follow the brown Legoland signs all the way to Legoland. Our first stop was the biggest Lego Christmas tree in Asia made entirely with 427,695 Duplo Lego bricks! We continued on to the main attraction of Legoland (to me at least! ), Miniland! Unlike the 1st time we were here, the skies were cloudy and just the perfect weather to be viewing the Lego exhibits. This was also the first time my mum, bro and Girlee were seeing it in person and they absolutely loved it. 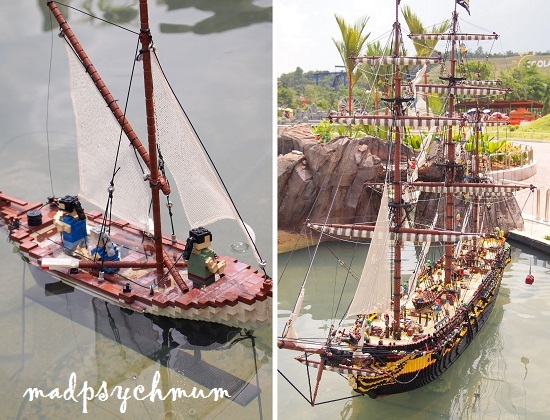 The following photos of Miniland were taken by my talented photographer brother using my Olympus EP1 (awesome camera in my opinion ^-^). Taken using the miniature effect.. very cool right? Almost looks like the real thing doesn't it? As I mentioned before, the draw of Miniland is its accurate representation of the iconic structures as well as its interactivity. My girl was amazed by the moving buses, trains, boats, ships and even tiny water fountains. "Look mummy, the bus is moving!" she exclaimed. The bus actually stops at busstops and gives way if another bus crosses its path. Way cool! We finally left not because we got bored, but because our hungry stomachs were calling out to us! We thus headed to Imagination where we had pasta at Pizza Mania. I took the opportunity to check out the nursing room (as usual.. *laughs*) and discovered the 'Oscar' of all nursing rooms! 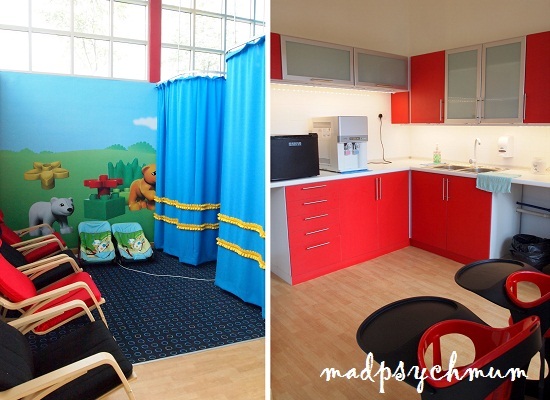 If someone were to be compiling a list of nursing rooms (wait, that's right.. someone did! *laughs*), this would be at the top of that list. high chairs & diaper-changing stations. 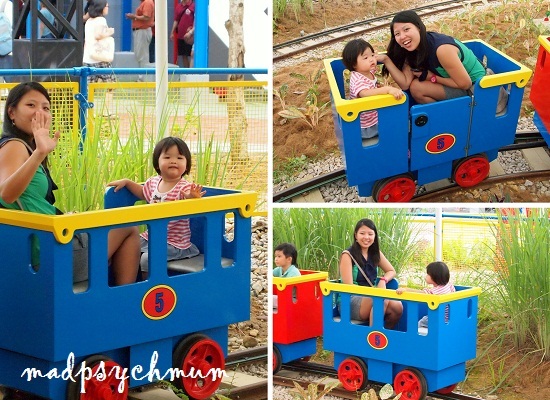 After the show, we continued on to Duplo Playtown to ride Girlee's favourite train. We could have stayed there longer had it not been time for Girlee's nap, which was long overdue. Despite her protests that she "still want to play", she fell asleep immediately the moment her head hit the stroller! I thought we should queue up for some of the rides while she slept but the brother was insistent on exploring the whole of Legoland first before choosing a ride as the queues were ridiculously long! I finally agreed that spending an hour queuing for a 5-minute ride did indeed warrant some sort of research to be conducted so off we went to explore the rest of the park. We made a stop at Build & Test as I've heard so many good things about this place but did not manage to visit the last time we were here. Build something with Lego and then test what you have built! You can either build a car with Lego and then race them to see who has built the fastest car or build a building and see if can withstand the shaking of an "earthquake". Very cool! 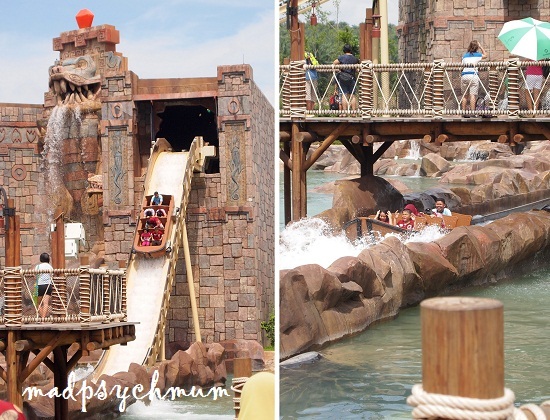 After exploring the rest of Legoland (which you can read more about in my previous post), we narrowed down the 3 rides that we thought were worth queuing up for: 1) The Dragon at Lego Kingdom, 2) Project X at Lego Technic and 3) Dino Island at Land of Adventure. And since the water ride seemed like the least scary of the 3, we decided to queue for Dino Island. The queue moved surprisingly faster than expected and we were done after just 30 minutes, which was considered pretty fast compared to the queuing time for other rides. It was pretty thrilling and the brother even said it was better than the boat ride at USS. We decided not to stay on too late so as to avoid the jam going home, which was also very easy (just drive along the road that leads out of Legoland and then follow the sign "Tuas" until you reach the 2nd Link). 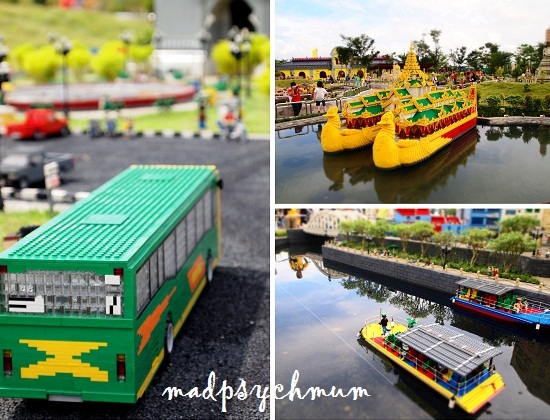 Disclosure: Complimentary entrance tickets were received from LEGOLAND® Malaysia for the purposes of this review. No monetary compensation was received; all opinions are my own.